Resurrection of Our Lord Church, Castor Avenue and Vista Street, Philadelphia. Two parishes in Northeast Philadelphia will engage in the planning initiative that has been ongoing in the region since 2010, the archdiocese of Philadelphia announced Sunday, Jan. 15. Our Lady of Ransom and Resurrection of Our Lord will begin studying how they can remain vibrant and sustainable faith communities. The Parish Area Pastoral Planning Initiative envisions a consultative process among parishes of a given region. It has resulted in dozens of merged parishes in the archdiocese over the past six-plus years. The two pastors and three representatives from each of the parishes will make up a local area pastoral planning committee that will study Catholic population, demographics, parish ministries, the condition of parish buildings, priest personnel projections and other data. After studying the data and discussing options, the committee will make a recommendation for action. There are two potential outcomes. First, a parish could take part in a merger by which the two parishes are combined into one newly formed parish with all assets and debts being assumed by the new parish. Typically the other churches affected in the merger remain worship sites at least for some time. The second model, a partnership, differs from a merger in that the partnering parishes each remain open and retain parish status. However, one pastor, one pastoral council and one staff serve the parishes in the partnership. Each parishes also retains its own finances and finance council. The partnership model has emerged to help certain parishes realize efficiencies in operation, to pool resources for more effective evangelization and to address the issue of decreasing priest personnel throughout the archdiocese. 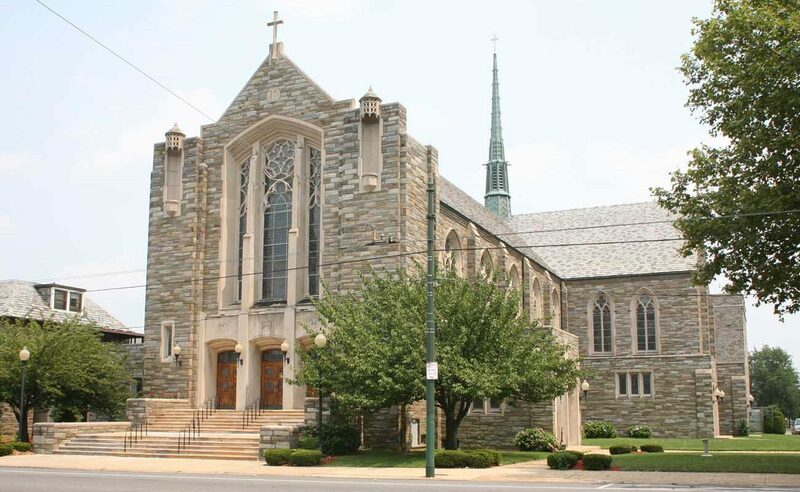 Both parishes reflect the densely Catholic Northeast Philadelphia neighborhoods they serve, but both also reflect the changes experienced by many parishes in the city and suburbs. 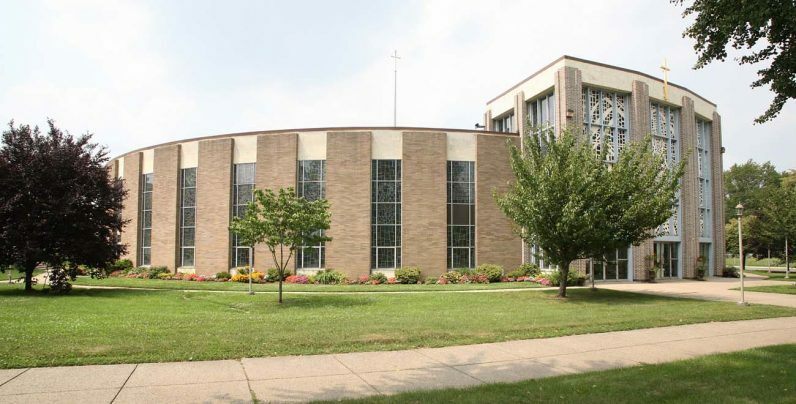 Founded in 1954, Our Lady of Ransom Parish was founded in 1954 to accommodate the post-war building boom in the Oxford Circle neighborhood. As recently as 2011 there were 3,628 registered parishioners. But by 2015, the last year for which statistics were available, the parish’s population had shrunken to 2,281, a 40 percent decline. There were 11 infant baptisms in 2015, down from 25 in 2011. Average weekend Mass attendance in the fall of 2015 was 419, in a church that seats 1,250 people – one of Northeast Philadelphia’s largest-capacity churches. The parish school closed in 2012, and children of the parish today attend Resurrection Regional School with its 467 students. Resurrection of Our Lord Parish was founded in 1928 and its population remains relatively stable at 8,136 registered parishioners in 2015, down from 8,592 five years earlier. Infant baptisms also were down, to 53 in 2015, from 79 five years earlier. Resurrection Church also has a very large seating capacity, at 1,200, but offers five weekend Masses versus Our Lady of Ransom’s three Masses. The two churches are located 1.7 miles apart. The process for Our Lady of Ransom and Resurrection parishes is expected to conclude this spring and a decision to take effect this July 1. Both parishes were informed of the start of the process at Masses during the weekend of Jan. 14 and 15. There are 217 parishes in the Philadelphia Archdiocese of Philadelphia, which is comprised of 44 Pastoral Planning Areas (PPAs). For more information on Parish Area Pastoral Planning is available here. Our Lady of Ransom Church, Roosevelt Blvd. and Unruh streets, Philadelphia. In the last 10 years, the frequent rotation of pastors, lack of outreach of the community, and lackluster liturgy and worship is what doomed OLOR. More of the problems were internal than external. Whatever you choose will be blessed by God who cares deeply for each person in the wonderful church of Philadelphia! Rejoice in Heaven who loves you so fully! Ransom was a great parish but is a victim of a changing neighborhood and laxness of faith in the Catholic community. I just hope whatever the outcome is, its better organized than the school mergers which was awful. No change in the school name as was done in all other mergers and a genuine lack of welcome to the Ransom families. No study went in to the closing of Our Lady of Ransom School which was a gem for the Archdiocese.